With striking and amazing interiors, Hotel Venus is a wonderful hotel to spend your time in Zirakpur. The beautiful wallpaper and wood reception desk in the reception area provides you with a warm welcome as you enter the hotel. 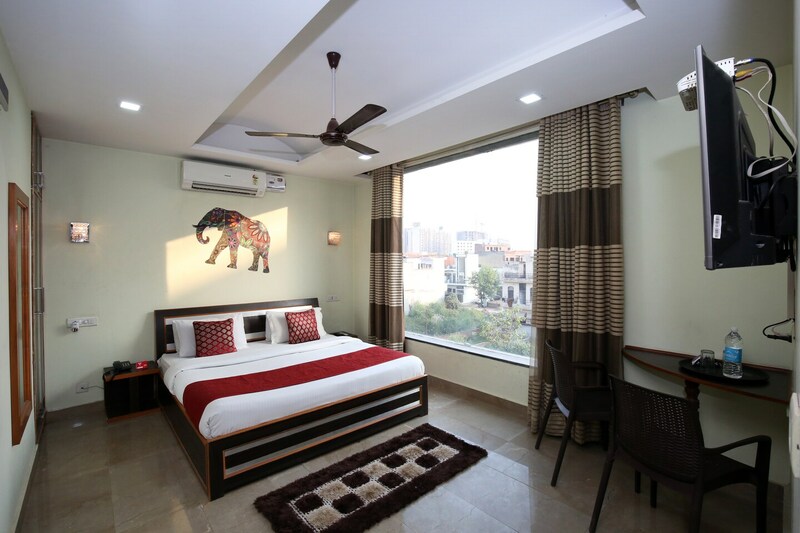 The rooms are pretty and sophisticated with a large glass window that lets you have an amazing view of the city and nice oriental wall stickers and paintings adorning the walls. These rooms are well-equipped with all essential amenities that are well-suited to the needs of all kinds of guests. They are also immaculate, spacious and well-lit. The hotel also provides other facilities like free Wi-Fi, CCTV cameras, an in-house restaurant and a banquet hall.